Holidays are a time for friends, family, and happy memories. However, the joyful moments can be associated with a lot of stress from travelling, shopping and preparing for the celebrations. Stress and other stimuli may significantly increase or trigger your headache. Most individuals consider this illness as a temporary irritation that does not have significant impacts on their daily life and enjoyment. For some individuals, however, facial and head pain may be a daily struggle that may significantly affect their daily activities and quality of life. 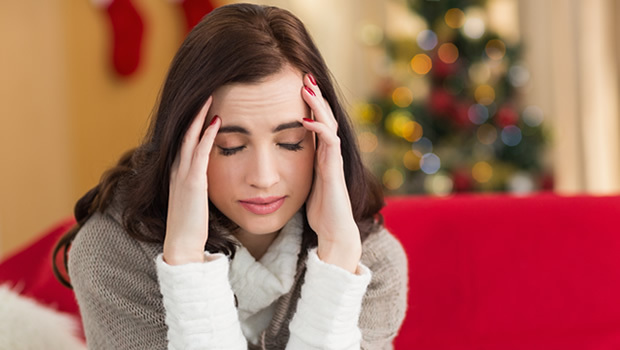 Due to the effects of the head and facial pains, experts recommend the following tips to avoid them this holiday season. Moderation is the key to minimizing facial and head pains. If you are planning to have that festive cocktail at your free time, you should sip it slowly to minimize head pains. Mixed drinks containing vegetable and fruit selections can have fewer effects compared to the straight alcohol. For individuals suffering from migraine conditions, white wine is ideal for them. And if individuals do experience the famous over-served migraine, they should consider black coffee with some honey instead of sugar to relieve their pain in the morning. If you and your family cannot stop for regular meals, you should try packing nutritious snacks. While preparing for the holidays, you should remember to maintain regular sleep. The late night parties can result in health issues, especially to those with migraine conditions. Try your best to have enough sleep each day to minimize this problem. During this holiday season, you should ensure that you get a regular sleep of approximately eight hours a day to avoid head and facial pains. As you pass through crowded stores, you should be aware of the odours that may lead to head pains. The perfume scents wafting through the surrounding air may result in head pain. Also, some individuals may be susceptible to the smell of balsam trees and pine boughs. Other people may also be affected by the odours and scents of freshly baked treats like the chocolate chip cookies. With the establishment of the no smoking regulations, public places are safe if you are sensitive to smoke. But private parties can be a haven for smokers, especially for those enjoying the celebratory cigar. You should try to find an area free of perfume and smoke. If you are travelling with your family, you should ensure that you have sufficient amounts of prescription medicine. You don’t want to find yourself without the prescription medications, both on Christmas and the New Year’s Day. For individuals who experience this type of illness when vacationing in mountainous areas or travelling by plane, they should discuss the issue with their physician. Preventive measures are available to minimize the altitude headaches. If you have head pain, no need to worry since the only thing you need is to call 9144-1510 now to schedule an appointment with one of our physiotherapists. Make sure you wear healthy shoes at all times. This strategy can help you prevent or treat some foot and toe problems, such as hammertoes, bunions, ingrown toenails, plantar fasciosis, neuromas, and shin splints. Healthy shoes will help your feet to walk normally; that is, the toes spread and the heel and forefoot on level ground. Healthy shoes do not alter your feet posture or interfere with your walking style. Wearing healthy shoes is vital for your weight-bearing activities in casual and athletic events. 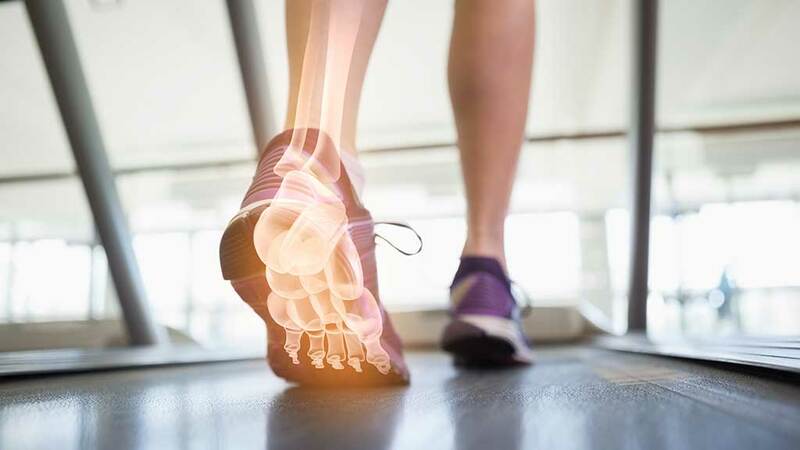 Wearing footwear with many injurious features for activities such as running and walking can lead to toe defects and also lead to prolonged foot and toe complications. Some foot stretches can help to improve your foot health, particularly if you do them regularly. There are many feet and toe stretching techniques that are helpful, such as the toe extensor stretch and practising a better posture. These techniques help to lengthen the tight toe extensor tendons and muscles. Tight toe extensors lead to a range of foot and toe complications, and stretching the toe extensor can help you to balance the pull of toe flexors with the extensor tendons of your toes. Other foot exercises include the hacky sack grab and the big toe stretch which are easy to perform at home. For example, you can set a goal to be able to able to run more than 5 miles in 40 minutes by the end of the year. A SMART approach to foot health will keep you active as you attain healthy feet, and experience recurrent accomplishments to keep you inspired. Enhancing your foot health is a worthy course! In most situations, you can address chronic foot complications using the tips we have discussed. However, it is essential to consult with a foot care expert before you adopt any foot care routines. Each person’s foot health needs are unique. Anyone can experience lower back pain, but mostly it occurs in adults. There are different types of lower back pain: it can be acute or chronic. Acute pain is, and it only lasts for a few days or weeks while chronic back pain is long-term, and it may last for several months. Acute pain goes away on its own while the chronic back pain has to be treated. If you think that all a chiropractor does is cracking your back, and you are good to go, then you are wrong. The primary goal of a chiropractor is to relieve the pain and help you keep patients pain-free. The most important thing is that you have to maintain wellness and the following tips can be used to keep both your neck and back aligned which will reduce pain. Stretching-this is the best way to start your day, and it can help reduce back pain with time if you make it a habit. Avoid Sit-ups-the most important aspect when it comes to reducing back pain is having strong abdominals. Although there are advantages of doing crunches and sit-ups, these actually make the back pain worse. You can find some alternative exercises such as yoga plank pose. You can also try doing side planks which firm up the core. Avoid staring at your phone-one thing about using a phone is that you have to curve your neck into a C-shape. When the head looks down, it strains your muscles. Your bones mash together, and you start experiencing pain. To prevent this, you can look at your gadget straight on. Exercise the Hamstrings-some of the patients who experience back pain spent most of their days sited. A person’s hamstrings become locked up when they spent many hours sitting. By the time a person stands, the hamstrings tend to pull on the pelvis which results into misalignments of the spine and back pain. To avoid this, you can stretch your hamstrings on a regular basis. Avoid lying on your stomach-this is the worst sleeping position because you have to turn your head to all directions. This results into neck pain due to straining of the muscles. Instead of sleeping on your stomach, you can sleep with a pillow under your knees. This position is known to maintain your spine’s natural curve. Avoid crossing your legs-this can be tough especially for those people who sit for long hours. The best way to do this is to ensure that your feet are firmly planted on the ground and that they are parallel. In case your feet don’t reach the ground you can use a footrest to prop them. For professional assistance, get in contact with a chiropractor at Spine Scan Chiropractic and schedule an appointment to get your lower back pain treatment. There is a lot of arguments held around the relationship between back pains and the poor posture for office staffs and such professionals. However, what if the working conditions involves manual works with a toolbox or even tractors? A considerable significant number of people work in an environment that requires quite a portion of physical labour. Be it in the carrying of loads when loading and offloading tracks, swinging a hammer, carpentry and such, the back pays the livelihood price. The damaged tendons, misalignment of backbones and muscle strains are some of the risks that manual labourers face. Most of them end up getting the musculoskeletal pains in their nerves, ligaments, muscles and bones. Nonetheless, chiropractic care serves as the best treatment option for most of such conditions exacerbated or caused by work injuries or manual labour. Several risky activities expose manual labourers to injuries when doing them. Improper techniques of lifting cumbersome loads top the list. Such can lead to acute muscle contraction, disc tears, muscle strains and even subluxations. Slippery or wet surfaces raises the risk of falls or slips when engaged in manual labours. Such an occurrence may lead to severe musculoskeletal injuries. In cases where an individual is made to stand on solid grounds for a long duration, the likes of concrete, the legs and back muscles are likely to get tired. The person ends up taking a poor posture which increases the risk of getting a musculoskeletal injury. When sited and operating high vibrating machines such as forklifts, tractors or backhoes, the muscles are likely to get fatigued. Musculoskeletal pains are likely to occur in an attempt to get a better sitting posture. Some manual jobs require looking up and raising hands above the head. Others entail getting into squeezed spaces with awkward body postures. Used of hand tools and holding up a part means straining the muscles and spasms. Staying in such positions for long periods leads to musculoskeletal injuries. The primary objective of going for the chiropractic care is to improve the flexibility and functions of the muscles and joints, relieve stress and tension accumulation within the painful area. Bathurst Chiropractor comes in with top-notch chiropractic care services. In preventing the injuries, the manual labourers need to start their days with a good body stretch. They should avoid doing traditional sit-ups, staring at the computer and smartphones, sleeping on their stomachs and sit with their legs apart and firmly on the ground. Additionally, the persons ought to use their car headrests and ensure that the hamstring is well stretched and relaxed. Always keep moving and jogging, use the proper lifting techniques and get some good work boots. Bathurst Chiropractors start by undertaking a thorough assessment of the patient’s joints and spine. They then make an in-depth health history to identify the parts of their body that require accurate adjustment. These adjustments are risk-free and natural to help get back the joints and spine to their original or optimal alignment. As a result, the musculoskeletal pains gets reduced, and future injuries prevention happens. Body balance is a state where our bodies are in perfect shape to handle every day’s activities. It also involves the response to external conditions with respect to physical movement and posture. Such features lead to healthy living, ease in handling daily chores and confidence in daily routine. Our feet, jaw, pelvis and feet are the major parts of the body that are responsible for body balance. Their work is to coordinate with the brain in finding this balance. Any slight disturbance on these organs significantly affects body movements and patterns, thereby affecting the body balance. Therein, a deformity needs routine retraining and work-outs to help restore normal bodily functioning. Neck Pain – this might be due to carrying of heavy loads, straining, injury or degenerative disc disease. Age – this may be due to wear and tear or long periods of poor posture. Others are vertigo, feeling weak, anxiety and unsteadiness. Headaches – the dizziness causes the victim to feel unsteady. Other body balance effects due to headaches are strong headache medications, tension, sclerosis, stress, among others. 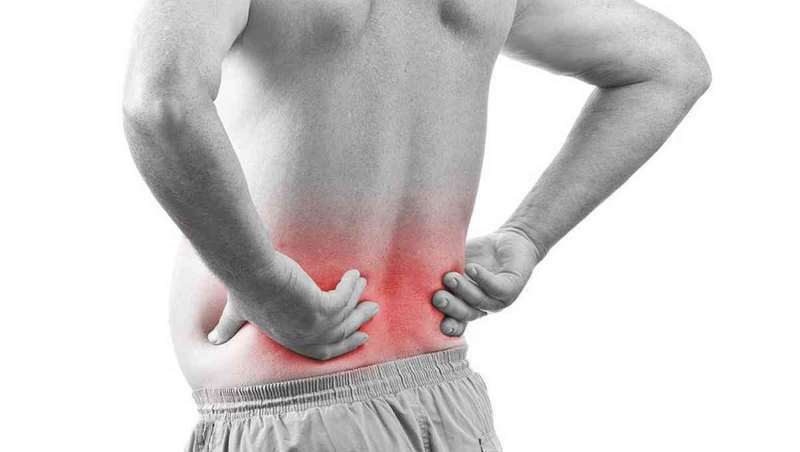 Back Pain – consistent back pain makes the victim to adjust his or her movement to subdue the pain. Sit on a chair and ensure your feet touch the ground. Place the ball done and step on the ball. Start moving the ball using your feet forward and backwards, then sideways. Thereafter, try it in circles, clockwise and anticlockwise. Repeat this routine between 5 to 10 minutes. Neck Straightening – this exercise is done around the neck down to the shoulders. Sit straight up, relax the shoulders and the arms, and lengthen the neck out. Tuck the chin in severally with the shoulders down. Repeat this routine for 5 to 10 minutes. Vestibular Rehabilitation Exercise – these exercises seek to acclimatize the body to situations or occurrences that keep the body dizzy. If you repeat the same movements that cause dizziness, the brain becomes familiar with this routine, thereby stabilizing body balance. Hearing and Visual Coordinating exercise – balance is a coordination of the ear nerve and eye muscles. Retraining exercises resolve the discoordination between the brain and the inner ear system to regain balance. Physical Exercises – tai chi and yoga exercises aids in building coordination of body organs so as to improve body balance. On the other hand, strength training exercises keep muscles and bones strong to support body weight and balance. If the above methods do not work, feel free to call or visit us in our clinic. We are the best Ealing Chiropractor around. Eating habits developed in childhood are likely to stick as the child grows. This is one of the reasons why you need to teach your kids proper eating habits. One way of getting your kids to eat well is to give them healthy snacks regularly. Unlike adults, kids are not usually able to eat enough food in one sitting as their stomachs are smaller, and this problem can be solved with periodic snacks. These foods can also fill in nutrient gaps that you couldn’t cover in main meals. Snacks for kids should primarily fall into the categories of fruit, vegetable, whole grains and dairy products. You can pack fruits like apples in your child’s lunch box. Ideally, you should let them pick a fruit that they like, and possibly even reward them if they switch up the selection regularly. Some healthy fruits that children can enjoy include bananas, mangoes, berries, oranges and peaches. If you choose to pack strawberries, cherries or blackberries, make sure you pick the dark-coloured ones. These usually have the highest nutritional value. Fruit snacks are usually presented as a good and healthy alternatively to natural fruits. However, they contain very high amounts of processed sugar. The nutritional value of these snacks is very low, and for this reason, you should not replace natural fruits with fruit snacks. In fact, it is advisable to treat these snacks just like regular candy. Vegetable snacks should always be served raw or lightly steamed. This way, they have more nutrients and usually taste better. Nice vegetable snacks for kids include celery, carrots, cucumbers and cauliflower. If you choose to serve the foods raw, make sure you chop them into small pieces. Otherwise, the hard parts of the vegetable can choke the child. If you want, you can blend some vegetables and fruits to make a healthy drink for your child. A proper combination of the ingredients should make it taste better. Whole grains can provide your child with energy throughout the day. They are packed with lots of nutrients, including carbohydrates, proteins and vitamin B. They also contain antioxidants. If you give your kids whole grains regularly, the risk of becoming obese will drop significantly, even as adults. Some whole grain snacks you can prepare include oatmeal bars, popcorns, oatcakes and smoothies. You can also make a whole grain pizza for your kids. Children need to develop strong and healthy bones. Dairy products contain calcium which helps with this exact problem. Some dairy products you can feed your child include milk, yoghurt, cheese and ice cream. Proper nutrition in kids is vital. Children who become overweight or obese are highly likely to remain unhealthy as adults. Healthy snacks can help your children learn healthy feeding habits early enough. 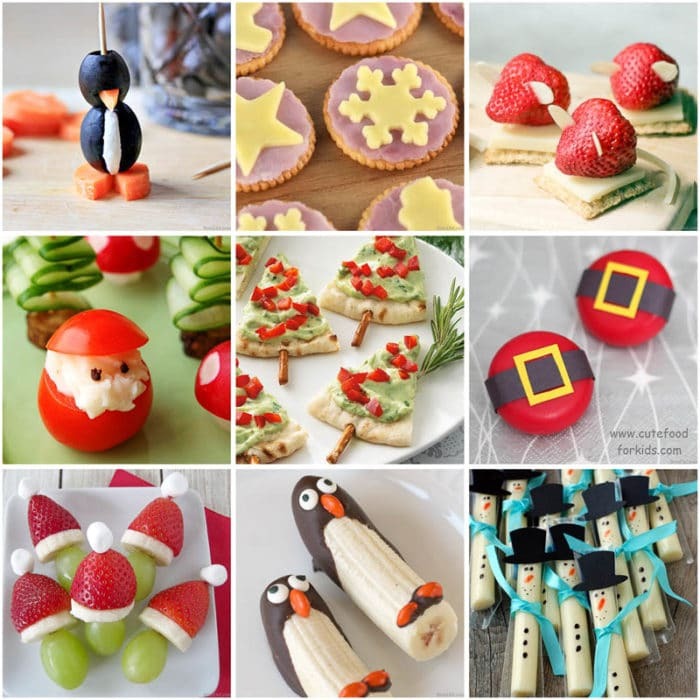 You can give them fruits, vegetables, whole grains and even dairy products as snacks. If your child has special dietary problems, you should visit Sunbury Chiropractor for advice on what meals to feed your child. Engaging in any kind of sports activities is quite a fun experience. However, there is a lot of injury risks involved. You could strain your muscles and put stress on your entire body, which could lead to severe injuries. Swimming, like any other sports, has its own injury risks. However, sports injuries could be avoided if a professional sports and spinal physio is frequently consulted. Such experts will advise on the best warm-up exercises appropriate for swimming, as well as help treat any injuries suffered during swimming. This is the most common injury when swimming. A lot of stress is put on the arms when rotating them to perform swim strokes, causing so much pain in your shoulders, during swimming and after. If swimming is your profession, this kind of pain could paralyze your career for a while. Good news is, shoulder pains can be prevented. With proper pre-swim activation exercises, your arms will loosen up any muscle tension, giving you a pain-free swimming session. Getting the warm-up exercises from a physiotherapy expert could help prevent the shoulder pains. When performing the breaststroke technique in swimming, the knee is bent a lot of times. The repetitive bending puts so much stress on the knee and the muscles around it, causing a knee injury. Knee injuries are not only familiar when doing the breaststroke, but also in all kinds of swimming techniques that involve the movement of the knee. 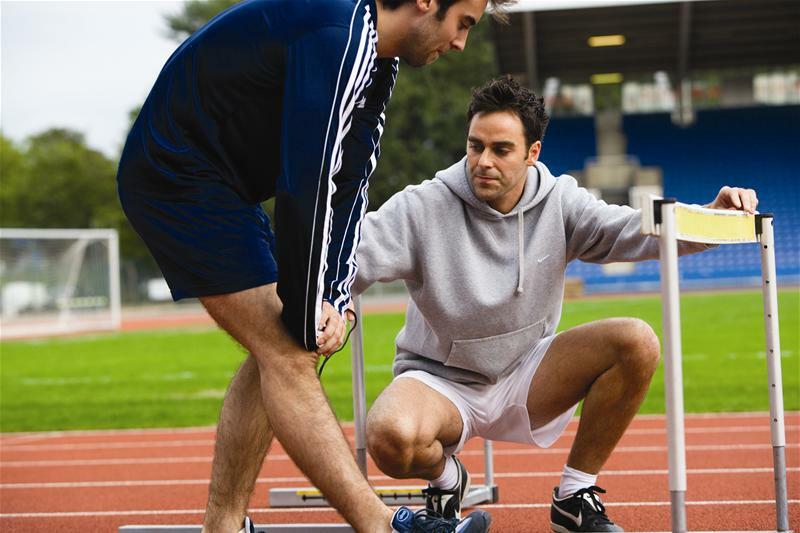 Although knee injuries can be avoided by warm-up exercises and taking instructions from expert coaches, accidents can happen that injure the knee area. A proper session with a physiotherapy expert can help treat the injury, as well as rehabilitate a swimmer. A back injury can quickly limit your swimming activities and any other activities off water. This injury is mostly caused by exaggerated movement of the lower back, which is due to weak core muscles. Another cause of back injury is, using a swimming technique that does not involve any rotation. This could cause your lower back to strain to keep you in balance when swimming. By following swimming instructions from a physiotherapy expert, you can reduce back pains significantly. Performing correct swimming strokes is also very important in preventing back pains. Proper Warm-up exercises before swimming. Performing swimming techniques the correct way could help reduce straining. Exercising with an expert to strengthen your core muscles, before swimming. Consulting a physiotherapy expert for education and additional advice on how to swim without injuries. At Turramurra, we provide sports and spinal physio services for swimmers. We help you with advice on the best swimming techniques that prevent swimming injuries, we treat any injuries suffered during swimming, and we rehabilitate swimmers. For any such services, call 9144-1510 now to schedule an appointment with one of our physiotherapists. Professional athletes are expected to remain in perfect shape but unfortunately many of them suffer from injuries that lead to pain and the inability to take part in sporting activities. One of the solutions that have been proposed to help professional athletes stay at the top of the game is embracing chiropractic care, which not only ensures they heal faster after sustaining injuries, but also help them stay fit and prepared to face the game. There are more ways professional athletes could benefit from chiropractic care and here are few of the reasons each should consider having a chiropractor. The most suitable solution to prevent injury that professional athletes can try is to get the services of a chiropractor, who will assist them to maintain proper motion, coordination, and balance in their musculoskeletal system. Many of the injuries athletes sustain are caused by poor function and this is easily corrected with proper chiropractic care. A case that is common is when the hamstring muscle tears because it is tighter than it’s supposed to be, and this is caused by nerve irritation that stems from the lumbar spine. 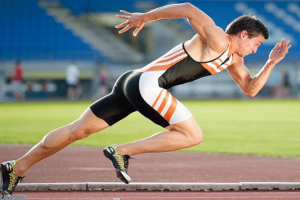 When athletes receive the help of a South Perth chiropractor, they are able to enhance the flexibility of their hamstring and prevent such occurrences from manifesting. Chiropractic care could also help in pain reduction in professional athletes. Athletes work in an environment where it’s easy to sustain injuries, and most of the time the injuries come with a lot of pain that bars them from functioning as required. Reducing the pain helps the athlete to boost their function and perform better on the field. Chiropractic care encourages faster recovery so the athlete does not miss on important activities. Although there are many other solutions you could use to treat pain and injuries including using pharmaceutical drugs, chiropractic care does not rely on these medications and is largely natural. This means you would expect no side effects and the recovery is faster with good results. However, there are cases that may require the attention of a medical professional as opposed to getting the help of a chiropractor Applecross. Serious fractures may call for a surgical restoration or even an appointment to a hospital, so while a chiropractor will be useful, one needs to ensure they do not ignore serious concerns that can only be addressed using medication. Chiropractic care works on the improvement of the hamstring and this focuses on improvement of motion of the spine. With a good spinal system, the athlete will have better sensori-motor integration, which helps the brain to receive and respond to sensory signals, thereby boosting overall performance of the body. Apart from applying these solutions to athletes, chiropractors also help individuals get better by relieving pain and improving their function. This enables the patient to lead a better life and avoid taking drugs that could damage their health due to side effects. 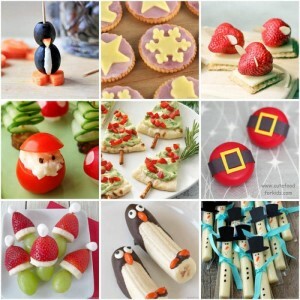 The holidays are right around the corner, and everyone is busier than usual. The last thing you want to do is take time out of your busy schedule to go to the dentist, but if you have dental insurance and are overdue for a checkup, but doing it now can save you hundreds. 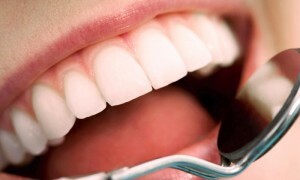 Most dental insurance plans have a maximum benefit of $1,000-2,000 per year. It is important to be aware that these do not roll over from one year to the next. Any benefits that go unused at the end of the year are lost. Most people spend about $50 per month or more for dental insurance, depending on the type and extent of coverage. Not using all of your benefits is like handing as much as $600 or more of your hard earned money to the insurance company. In fact, dental insurance companies make a lot of money from people who let their benefits expire. If you have ever had a cavity, you already know that not only can they be painful, getting them filled is also uncomfortable and can be expensive. The pain and expense are even greater if a root canal or other extensive work is needed. Regular cleanings can help prevent problems, and regular checkups can help find problems while they are small, so they can be fixed before they become severe. Extensive dental work can easily cost more than your dental benefits will cover in a year. If you have been putting off having some dental work done, the end of the year is a great time to get started. Consider scheduling one appointment before the end of the year to get as much done as your plan will cover, then schedule a follow up for early next year to get the rest done. Whether you just need a checkup and cleaning, a filling, or more extensive work, you’ll be glad you took care of it before it could get worse. As costs of materials, labor, and equipment increase, dentists must raise their rates periodically to meet these expenses. This is most often done shortly after the beginning of the year. Making an appointment now will give you the opportunity to take advantage of current rates before they go up. If there is one thing worse than having to take time out from a busy holiday schedule, it’s having a spouse or child with a toothache due to a cavity. Emergency dental care can be difficult to squeeze in at the best of times, but even harder during this time of year. Some dentists will schedule appointments for the entire family at the same time so everyone can receive cleanings, checkups, and needed care at the same time. Consider making it a family day and enjoy a special family lunch, dinner, or family activity after the appointment. When your adult teeth come in, it is the last set of teeth you’ll ever have. If you take good care of them through proper brushing and flossing, and regular visits to the dentist, you will be able to avoid the pain and expense of extensive dental work. Isn’t that worth the inconvenience of taking a couple of hours out of your day to see your dentist? If you are overdue for a checkup and cleaning, take the time to do it now, before your dental insurance benefits expire. Call your pain free dentist at Westside Dentistry today on 07 3278 0580 to arrange an appointment.